PAULINE Hanson says her ex-colleague Fraser Anning is trying to win votes from extremists in Queensland with his praise for the White Australia policy. The One Nation leader said she agreed with Senator Anning's views on banning Muslim immigration but his use of the Nazi phrase "final solution" was too much. "Even I think he's gone too far with this," Senator Hanson told reporters on Thursday. "He's fighting for his life to get his seat back in this parliament at the next election. "He had to get that publicity, that attention to himself." 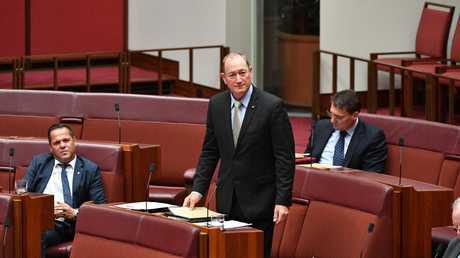 Senator Anning copped criticism from all sides of politics after his first speech on Tuesday night but he is refusing to apologise. His adviser Richard McGilvray resigned hours after the speech. "His reference to The Final Solution was not something I had seen, heard of or discussed prior to his remarks last night," Mr McGilvray posted on LinkedIn. Senator Hanson said she didn't believe Senator Anning wrote the speech, which included regular references to Italian Marxist philosopher Antonio Gramsci. Home Affairs Minister Peter Dutton said the Katter's Australian Party senator should apologise after claiming he didn't make the connection between "the final solution" and the Holocaust. "If he says he's made a mistake then apologise and people can make their own judgments about that," Mr Dutton told Sydney radio 2GB. "But to keep your hands in your pockets and hold the ground, I just think he's making a mistake." His party leader Bob Katter backed him "1000 per cent" after the controversial speech, which was littered with false and deeply offensive remarks about Muslim Australians. Prime Minister Malcolm Turnbull and Labor leader Bill Shorten gave passionate speeches in parliament opposing Senator Anning on Wednesday. Mr Turnbull said people who demonise Muslims because of the crimes of a tiny minority will only help terrorists. 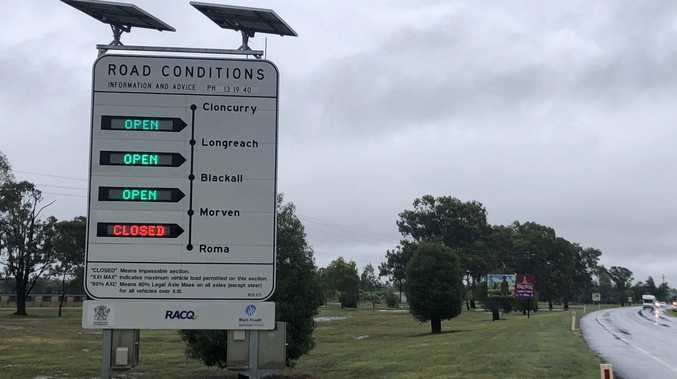 Senator Anning moved a motion in the upper house on Thursday calling on the government to hold a plebiscite to determine who is allowed to migrate to Australia. "The Australian people need to have a say in who comes to this country and what our society will look like in the future," he told parliament. The motion was defeated with Senator Anning the lone voice supporting it. Around 1942, Germany's Nazi leadership established a plan called The Final Solution to the Jewish Question, which led to the genocide of more than six million Jews in occupied Europe.